Welcome to DePaula Mazda. The same name that Albany area residents have trusted for decades for all of their Chevy car buying needs, is now proud to extend their reputation and quality service further with the newest Mazda Dealership in upstate New York. When it comes time to purchase your next new or used vehicle, it is important to choose a dealership that you know you can trust. The DePaula name has been synonymous with customer satisfaction, quality vehicles, and reputable service for several years. Albany, New York has long been the proud home of DePaula Chevrolet, and we are thrilled to offer the same unparalleled service to Mazda car buyers. DePaula is far and away the most trusted name in car dealerships in the northeast, which is why residents have complete confidence in purchasing their next new or used Mazda from DePaula Mazda. When it comes time to make your next vehicle purchase, why not do it with the peace of mind that only the DePaula family of car dealerships can offer? All too often, car shoppers feel slighted by dealerships who seem more interested in their own selfish endeavors, than in the satisfaction of their customers. At DePaula Mazda, we recognize this trend in car buying as disappointing and unacceptable. 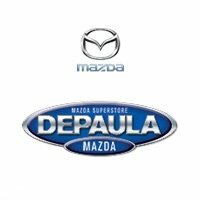 The entire DePaula Mazda team is comprised of individuals who are completely committed to every person who walks through our doors. Not just as a car buyer, but as a person. While other dealerships insist on continuing the unfortunate trend of treating their customers like a part of their bottom line, the DePaula team insists on the opposite. Every person who walks through the glass doors into the DePaula Mazda dealership is treated with the utmost respect, regardless of whether they are in the market for a $5,000 used car, or a $50,000 brand new vehicle. Whether you are looking for an all-new Mazda SUV, a certified pre-owned Mazda sedan, or a used vehicle from another automotive brand – you can find it at 799 Central Avenue right here in Albany, New York. One of the most affordable new vehicles in the 2017 Mazda lineup also happens to be one of the most popular. Here at DePaula Mazda, we are proud to offer the 2017 Mazda3 to customers looking for a sleek and practical sedan. From commuting to the office with an impressive EPA-estimate of 37.5 miles per gallon, to carting the kids from school to soccer practice with a spacious 5-seat interior – the latest Mazda3 has it all. DePaula Mazda has multiple version of the latest Mazda3 in stock right now, so whether you are on the market for the economically-priced Sport trim, or the higher-end Grand Touring, you can take it for a test drive with the most trusted new Mazda dealership in Albany. 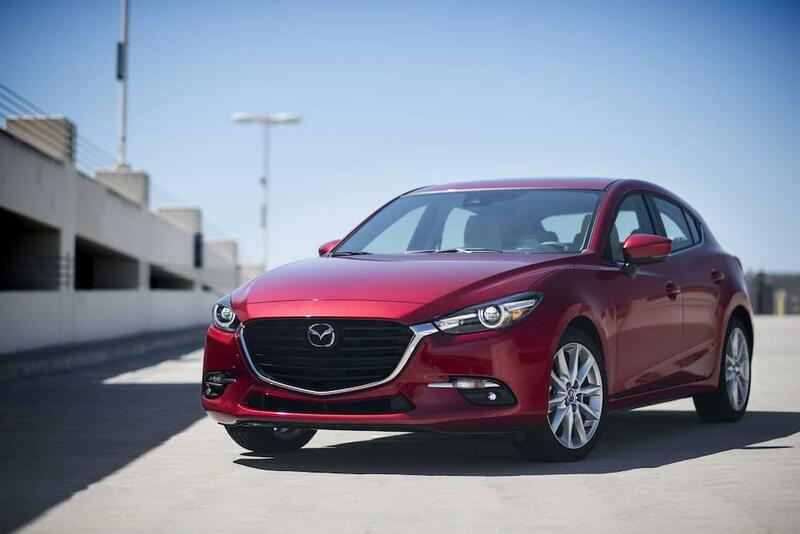 Aside from offering the newest models available in the 2017 Mazda lineup, DePaula Mazda is also pleased to offer a long list of used vehicles from Mazda and other major automotive brands. All of our used vehicles come with a complete background history report from CarFax, and have been inspected by our expert in-house service technicians for your own peace of mind. Purchasing a used vehicle doesn’t have to be a stressful and frightening experience. When you make the decision to buy your next used car at DePaula Mazda, you can rest assured knowing that your hard earned money is protected and the car you buy today, will still be working great tomorrow and for years down the road. For car shoppers who aren’t ready to buy a brand new car just yet, and want more confidence in their used vehicle purchase, DePaula Mazda offers a long list of Certified Pre-Owned Mazda models. These vehicles typically have had just one previous owner, and have undergone a rigorous set of inspections in order to qualify for this elite program. All of the used vehicles sold at DePaula Mazda under the Certified Pre-Owned program come with an extended warranty from the manufacturer, as well as a long list of other benefits. Bottom line – when buying a used Mazda, there is no better place to do it than at DePaula Mazda. Here at DePaula Mazda, we are proud of the versatile and large selection of new, used, and Certified Pre-Owned vehicles we have on our lot at any given time. While we would love for you to come down to 799 Central Avenue in Albany to check them all out in person, we realize that not everyone has a schedule that is flexible to accommodate day-long perusing of our expansive lot and showroom. Car shoppers such as yourself can check out our entire in-stock inventory on our interactive website. Our online inventory is updated at multiple times throughout the day in order to ensure the most up to date information is available at any given time. If you see a vehicle that you like, you are welcome to give us a call to schedule a test drive with one of our exceptional sales team members. Aside from showcasing our available inventory of new and used Mazda vehicles, the DePaula Mazda website also includes useful tools for car shoppers. Buyers can get pre-qualified for a loan directly on our website, get a trade-in estimate of your current vehicle, and more. When you take advantage of everything that is offered on the DePaula Mazda website, you are able to have a better idea of the type of vehicle you can afford, and cut down the time you have to spend at our dealership when it comes time to make your purchase. Aside from an incredible selection of new and used vehicles, DePaula Mazda is proud to feature a state-of-the-art service center staffed by the most skilled technicians in New York state. Whether your existing vehicle is in need of a standard oil change and tire rotation, or unexpected maintenance – you can trust that the experts at DePaula Mazda service center will give it the care and meticulous attention it needs. Just like you wouldn’t want to settle for a spouse or a job you don’t like, you shouldn’t settle on the vehicle you purchase, or where you buy it from. DePaula Mazda offers the most extensive inventory of high quality new and used Mazda vehicles here in Albany, New York. With a team that is committed to the complete satisfaction of every person who walks through our showroom doors, coupled with a stellar reputation for customer service, why waste your time at any other car dealership? DePaula Mazda is backed by the name most trusted by local residents. Come down to DePaula Mazda and experience the Depaula Difference for yourself. Your next new or used vehicle might just be one of the biggest purchases you will make in your adult life. Have complete peace of mind, with the caring and compassionate team at DePaula Mazda. DePaula Mazda is located at 799 Central Avenue in Albany, New York. Featuring flexible sales hours six days per week, it’s easy to find time to stop by and take your next new vehicle for a test drive. Give us a call or stop by today, and see what makes DePaula Mazda the ultimate destination for car shoppers in upstate New York. We can’t wait to show you around, and help you find the car you have been waiting so long to buy.